If you are looking for ways to generate MLM leads, social media can be an effective tool. 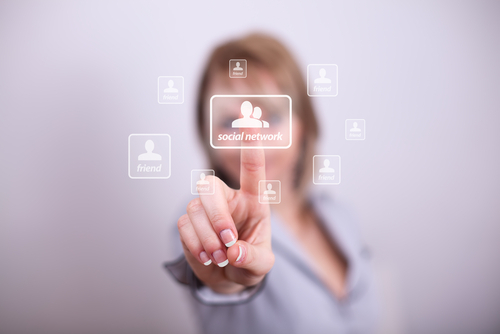 Social media sites like Facebook and Twitter, as well as blogs can be used to reach people that could be future leads. The trick is to use these tools effectively. Social media is all about building relationships; not the traditional kind of relationships that typically exist between companies and customers, but instead genuine relationships between individuals. This doesn’t mean that companies and customers can’t benefit from a social media relationship – on the contrary, it gives people the means to interact in a whole new way. When using social media for your business to generate leads, the goal is to never appear pushy or as though you are constantly trying to “sell” something. Instead, focus on ways to offer your “friends” and “followers” information that is truly useful and interesting that encourages interaction and starts a conversation between you and them. This is how relationships are built. Look for groups to join that have people with similar interests to your own. For example, if you are interested in ways to live a healthy lifestyle, look for other groups that are focused on healthy living. Once you have joined the group, post comments on things that others have posted and get a discussion started. This will help you get to know the people within the group as individuals, and they will come to appreciate your knowledge and expertise on subjects that they care about. Once you have established these connections and built relationships with people, then you have the opportunity to share information about what you do and the types of products or services that you sell. It is one friend communicating with another in a sincere way. This can be a powerful tool when it comes to generating MLM leads. What Role Do Antioxidants Play in Supplements? Hi Katherine! Contact customerservice@Vollara.com. They will be happy to get you in touch with the right people! I?m now not sure the place you’re getting your info, but great topic. I must spend a while studying more or figuring out more. Thanks for fantastic info I was in search of this info for my mission. This system is hot! can’t wait to get going I’M READY THANKS!